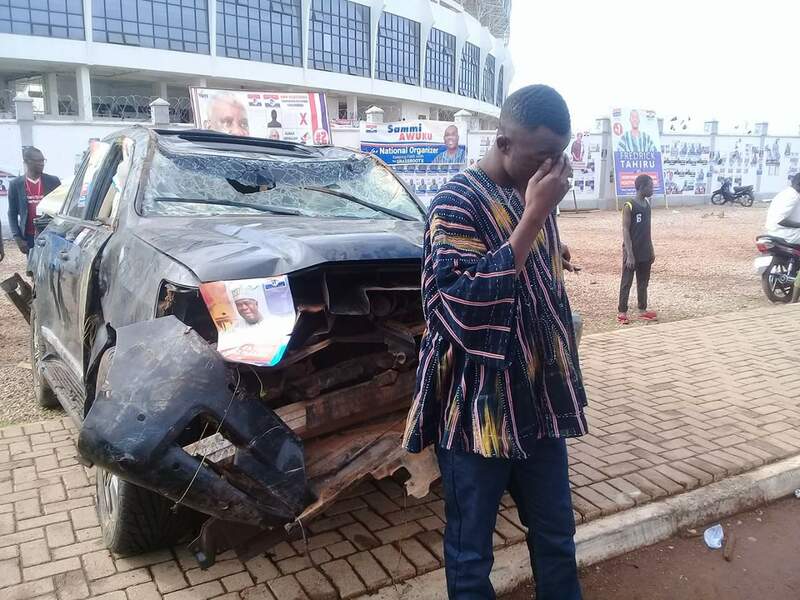 The accident vehicle of NPP Northern Regional chairman Bugri Naabu has been towed to the voting grounds of the NPP NR Chairmanship race to dispel rumors of his accident being faked for sympathy votes. 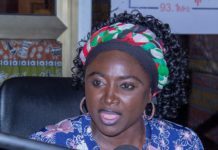 In a rather curious turn of events the NPP NR Chairman who suffered the near fatal accident earlier this week on the Fufulso – Sawla Highway escaped with minor injuries. 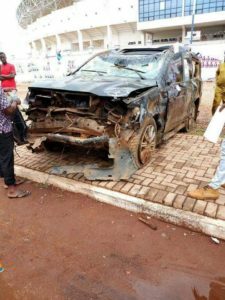 The accident vehicle with Mr Naabu’s campaign poster pasted on it has been placed at the entrance of the Aliu Mahama Sports Stadium where the voting is taking place. 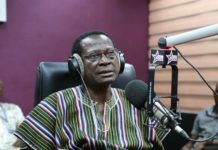 Observers have questioned the thinking that went into taking the accident vehicle to the voting grounds pointing out that the vehicle should be in the custody of the Police.